The Alpine House is sited at 980 metres above sea level with spectacular views over the Great Dividing Range. The design responds to a brief for a highly sustainable family house capturing these southern views, while still maximising northern light and solar passive heating potential. The house is off-grid and autonomous in its resource use, with all energy, water and waste water treatment being met on-site. The 191m2 house utilises a Habitech building fabric (outer shell), delivered onto an insulated concrete slab providing thermal mass and heat storage to living spaces. This 180m2 three storey house is on a narrow sloping suburban land allotment of approximately 325 square metres. 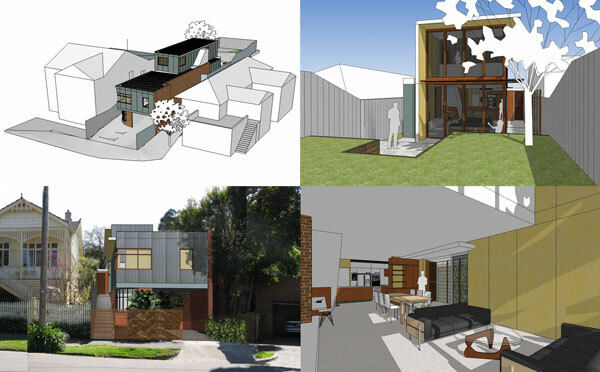 The new dwelling will have a crossover and driveway accessing a lower level masonry single-car garage, with adjoining study built back into the hill. The first floor level comprises north facing living areas and main bedroom delivered with the Habitech System. A second floor level of our wall panels then provides two additional bedrooms, bathroom, further study area and a void over living areas maximising northern amenity. The design for this rural artist's studio was influenced by our client's love of Japanese landscape design. He had also recently milled a volume of messmate he envisaged using to form screening elements to engage the building in the landscape. The design utilises the strength and bracing of Habitech wall panels to create blade columns which, along with the long spanning performance of our roof system, cost effectively create screening to an enclosed courtyard settled back into the sloping site. The project has been designed to be built in stages, with an initial building providing accomodation for short stays, and a second stage providing further bedrooms and a wet area. 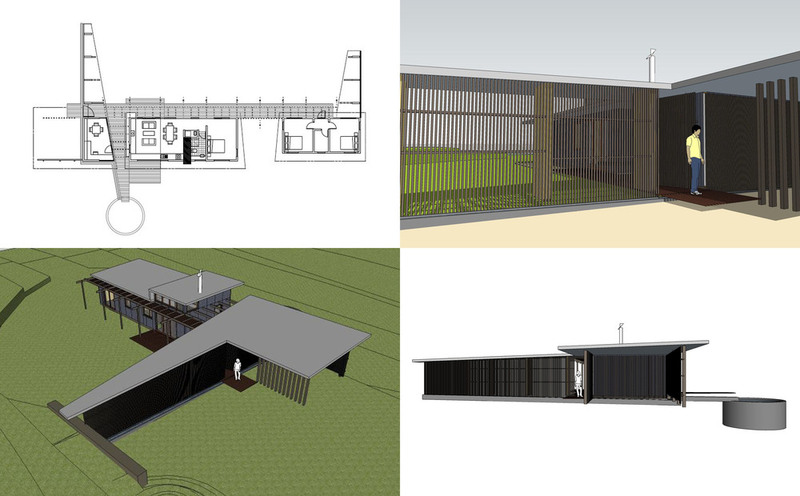 Habitech is currently assisting a not-for-profit organisation to deliver a new Administration & Training building on the Mornington Peninsula. Habitech's innovative fabric will be utilised to deliver the 280m2 building which contains a large meeting room, reception, foyer, office, meeting/break out spaces, store rooms, kitchen and bathroom.